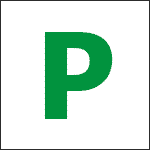 2016 driving test reviews of our recently qualified learner drivers. Contact us for your chance to get driving and let us be part of your success. Because you could be on the road driving around with all the freedom that these previous pupils have done. I have been with many driving schools and had many instructors who hadn’t put me in for my test. I then found Evolve driving school and Bryan got me to test standard within 12 hours or so. I didn’t have much confidence and Bryan pulled the confidence out of me. I had my test yesterday first time with 1 minor! The best driving school I have ever been with! Thank you, Bryan! I can honestly say I never thought that learning to drive could be so fun, serious when needed but hilarious when not. Bry is a quality instructor, definitely, the best out there (I’m allowed to be biased) allowing me to get a first-time pass! There’s no doubt that he’s the one to choose when thinking about learning to drive. I give all credit to Bry and his teaching, I couldn’t have asked for a better instructor and now I have all the freedom I could ask for! Definitely an expert at teaching and a good laugh all the same, with preparation for both your theory and practical test, you couldn’t ask for anything else! Absolutely outstanding. Passed first-time and don’t think I could’ve done it with anyone else. Very patient and adapts to all your needs. Highly recommend. Excellent driving instructor! Bryan is an experienced instructor so was able to notice and correct my errors quickly and effectively. 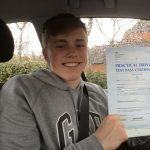 His chilled out and banterous personality and encouragement helped to build my confidence as a driver and get me a first-time pass! 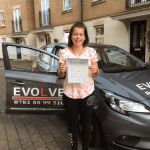 Today I have just passed my driving test – first time with Evolve driving school! I cannot thank Bryan enough for everything he has done! I have had 3 driving instructors in the past and it took me this long to find someone like Bryan! He is professional but also approachable and relatable! He made me feel confident in my driving and taught me to not only pass my test but enjoy driving afterwards. I am nearly 30 years old and pregnant with my 3rd child and FINALLY – all thanks to Bryan, I have passed and feel excited about getting in my car! I highly recommend him as a driving instructor, especially if you are a little nervous because he makes you feel at ease straight away. He creates a relaxed environment to learn in. 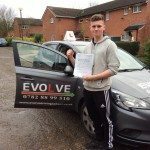 He enjoys his job so much and it truly shows, he is 100% present throughout lessons and concentrates on your driving experience. He is straight talking, honest and excellent at explaining things. He is an expert in his field and an incredible teacher. He takes the time to teach you the correct way to drive and to be able to do that alone with confidence! He is constantly improving his teaching techniques and adapting them when he sees a better alternative. 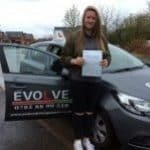 He breathes belief into his students and he prepared me so well for my practical driving test that I went into it full of confidence and excitement rather than nerves! Thank you, Bryan, for giving me my freedom and an essential life lesson. 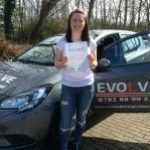 I would absolutely recommend Evolve Driving School to anyone looking to learn to drive. 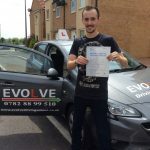 Bryan is a very clear, friendly and helpful driving instructor who tailors his teaching style to your learning style, resulting in the very best quality of instruction. 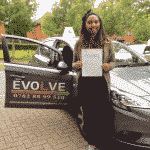 With Evolve Driving School you will get a very personal but professional experience. Could not recommend more! Bryan creates a really relaxed learning environment and makes sure you feel safe in the car! He was always on time, organised and I found the way he used the iPad to visually explain manoeuvres and roads very handy. Overall learning with Bryan was a thoroughly enjoyable experience and I am now a safe confident driver! Thank you! Bryan is a fantastic driving instructor who taught me how to drive properly. 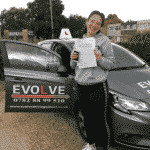 After having passed my test first time I would not have changed anything about the learning experience. The lessons were very enjoyable, always a laugh and really did teach me how to drive. Bryan was so good as a teacher and he would always be happy to help with any areas I was struggling on. 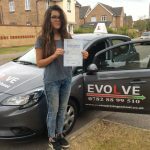 The experience was one I thoroughly enjoyed and I am really glad I picked to learn to drive with Bryan at Evolve Driving School. 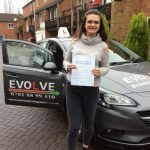 I recently passed my driving test with Evolve Driving School (Bryan Greenall) and choosing Evolve was the best decision I could ever have made. Bryan is an expert in the field and he knows all there is to know about the roads and driving techniques. His teaching techniques have ways to rub that knowledge off on to his students which makes you drive safely and at the best you can. Bryan prepares you for a practical test in such away that there were no nerves and I was 100% motivated to go straight into the test and succeed, great value for money especially for the quality of driving school/instructor. 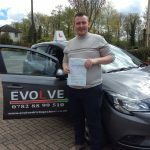 He is an all round great instructor and would highly recommend for anyone looking to get out on the road. It was a pleasure to have been taught by Bryan Greenall, a very very enjoyable experience. Thank you bryan. Look, you can pay a lot of money for driving lessons in Milton Keynes and you have heck of a choice of who to go to, and before Bryan and Evolve Driving school I made that wrong choice, I can’t tell you how glad I am that I choose to check out Bryan’s Facebook page. He is just everything you could need in a driving instructor, he is harsh when its needed but is full of praise when you do it right. He was the best choice for me, puts you at ease shows you how it should be done and importantly gives you the confidence and belief to do it. I couldn’t be more thankful to him, so again Bryan, thanks a million and I will be sure to see you out and about and I won’t beep, promise! haha. A Great teacher, makes driving enjoyable. He won’t just teach you how to pass, but how to be an all round better driver! Definitely recommend! 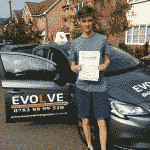 Evolve driving school is the best driving school about no doubt about it. 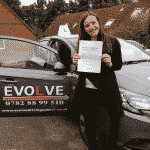 If you’re looking to pass first time then Evolve is the one. Bry helped me pass first time as he taught me everything I needed to know in the car and made me pass first time!! 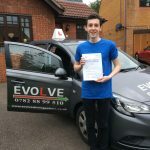 He is a very genuine and down to earth instructor who gives you so much confidence in the car and I would recommended Evolve driving school to anyone around. Thank you so much Bry. Thanks Bryan. It was a pleasure learning how to drive with you. You didn’t let me get away with anything and made sure I drove to the exam standard. You were also 100% right when you advised that I take the test in my own car and that definitely contributed to my first time pass. Bry has taught all 3 of my boys to drive safely and confidently! I wouldn’t recommend any other instructor! The proof is in the pudding. Well done Bry and thank you. Connor is the last of her 3 below. Taught all 3 of her boys. Bryan’s a great guy because he’s completely down to earth, and he is great at teaching. Thanks for teaching me Bry. 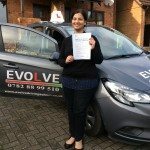 For all those who aspire to pass their driving test in the very first attempt, I would highly recommend Evolve driving school. Bry is a fabulous teacher, who puts in his 100% effort to teach his pupils the knowledge and skills required to drive safely on roads. He pushes you to do and achieve the things that you never thought you could ever do. Bryan stands out in the crowd owing to his precise attention to detail, professional attitude and urge for his pupils to cut down on mistakes. I would like to take this opportunity to thank you for all your sincere efforts and patience. I passed my driving test in the first go just because of you. You are a great person and teacher ! A big thank you to you.